Narkanda is a beautiful town situated in the hills of Shimla district in Himachal Pradesh. 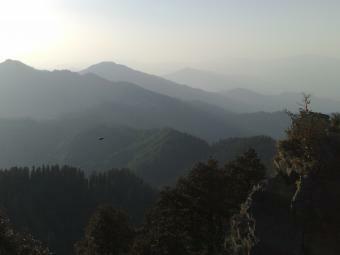 We started our road trip from Chandigarh and headed to Shimla, which takes about three and a half hours by car. Narkanda is at a distance of about 64 kms from Shimla by road and lies at an altitude of about 2,470 mts and is also reputed to be India's oldest Ski-Resort. 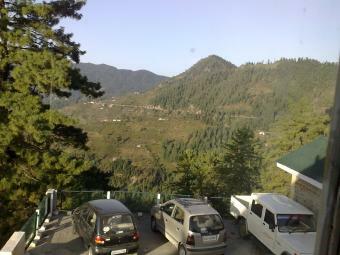 The drive through the winding roads of the hills was exhilarating and enjoyable till we reached Shimla. From there onwards the road deteriorated all the way to Kufri. It was the most horrible stretch of road, giving us quite a few bumps and to make matters worse the traffic got very congested at this point, slowing down our progress considerably. In spite of all these delays we still managed to reach our destination well before sunset. We hadn't bothered to book any room in advance, and so went to the circuit house to try our luck there. We were very fortunate to get a room at the last moment. After dumping our baggage and refreshing ourselves in the room, we set out to look around and discover the place. 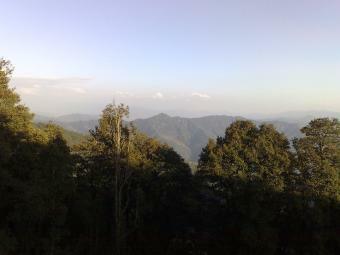 The place was absolutely scenic with the majestic hills all around and the beautiful valley visible below. 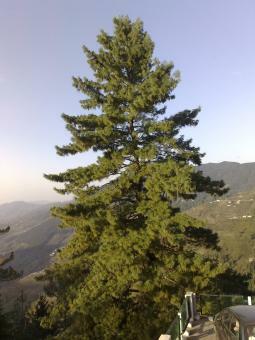 The beauty of Narkanda can be appreciated better in these pictures that we took from the circuit house. Since it was getting a bit cloudy that day, we were unable to see the snow capped Himalayan ranges that can otherwise be seen on a clear sunny day. Himachal Pradesh is famous for its apples. There were plenty of apple orchards all along the route, in Narkanda and the rest of the places that we visited as well. Some of these apple orchards had already been harvested. Narkanda is also considered to be a very important Horticultural Center.The main place of tourist interest here is the Hatu Peak, which is also the highest peak in Narkanda at about 3,400 mts. The scenic beauty is absolutely breathtaking from this point. 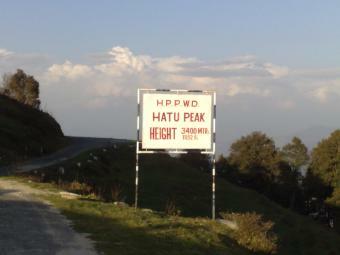 The road leading upto this peak was equally treacherous, narrow and nerve racking. 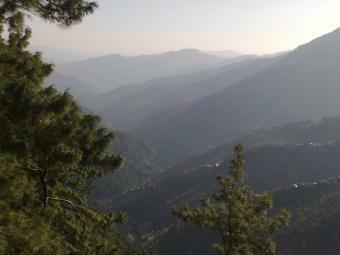 We could see the complete Narkanda valley and the town from the top and also see the surrounding majestic mountains. There was a temple at the top. 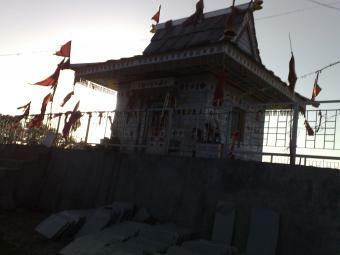 Himachal Pradesh is also known as the land of Gods, or Godesses we can say. As the people here seem to worship Godesses. The view from the top of Hatu Peak was absolutely breathtaking and fantastic. We took a few pictures from the top, take a look. The place was very cold at night as the temperatures dropped drastically due partially to the clouds in the horizon. The Himachal Pradesh Tourism Department (HPTD) have a hotel called "The Hatu" in Narkanda where one can book rooms in advance online at their website. There were also a few other places of tourist interest in Narkanda, but as we did not have much time in hand, we did not bother seeing them.